I would like to extend you a very warm Westville welcome. I am delighted that you are taking the time to look at our wonderful school in Ilkley, set in acres of idyllic Yorkshire countryside. As a school we offer a unique educational journey in a warm, family friendly environment. 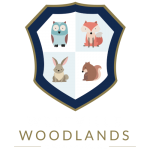 Westville is full of happy, empowered children who enjoy learning, take ownership for it and develop as lifelong learners. We provide every one of our pupils the very best teaching, the highest standards of pastoral care and a wide range of extra-curricular opportunities. We instil confidence, build resilience and nurture mind and spirit, preparing the children for the senior schools of choice but also for life beyond school. For children, Westville is an exploration that is both inspiring and challenging. We encourage independence of mind, curiosity and aspiration, allowing each child the opportunity to maximise their individual strengths and achieve their potential. Academic standards are excellent but we also consider happiness and emotional resilience as integral. Physical health, emotional well-being, moral understanding, an appreciation of culture and the arts, science and the humanities all form part of the core curriculum. Westville children believe in themselves and aspire to contribute. When a child leaves Westville they are well prepared for the world – self confident, sociable and articulate – with many special memories of their time here. Likewise, the parents embrace the vibrant Westville community and enjoy that sense of belonging that emerges in all Westville children. We hope you will come and visit us so that you can experience what makes Westville House such a special place. Stewart is Group Chief Executive of Allied Textiles Ltd, a business that focuses on specialist products for automotive, aeronautical and aerospace markets. He serves as Treasurer and a Non-Executive Director of UK Fashion and Textiles; is a trustee of the Windermere Motor Boat Racing Club and an “Entrepreneur in Residence” for Connect Yorkshire. Stewart brings invaluable commercial experience and boundless enthusiasm to the board. James is the Headmaster at Giggleswick Junior School. Since taking on the headship James has further developed EYFS provision, and made extensive, positive changes to curriculum and assessment structures. James is part of the school’s safeguarding lead team and has a specific interest in developing pupil’s mental health and wellbeing. James is currently training as an ISI (Independent School Inspectorate) inspector with a focus on regulatory compliance for independent schools. William is a senior partner in Dale Eddison, the UK’s most successful small chain Estate Agency practice. William’s children were educated at Westville and he has been a long serving Governor. Highly respected in the locality, William brings a huge depth of local knowledge and experience to the board. Karen has had a long association with Westville having put all four of her children through the school. Karen qualified as a doctor and practiced at the Leeds Teaching Hospitals NHS Trust as an Obstetrician and Gynaecologist for 25 years. She now practices in medical law for the Medical Protection Society. Her experience as a school parent alongside her medical and legal expertise ensures she is a great asset to the school. Rosey James trained at the University of Cape Town where she majored in Maths and Chemistry and completed her PGCE. Her teaching career spanned 36 years during which she taught in 4 countries, in state, independent and international schools. 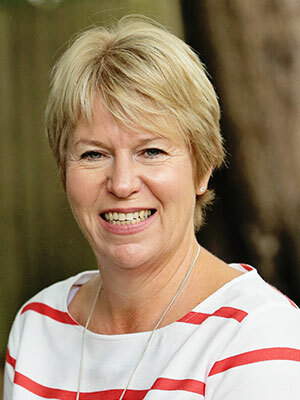 She joined Westville in 1996 and through her 19 years held a variety of roles culminating in the Headteacher position. Rosey retired in September 2015 and now enjoys mentoring Heads and working on governing bodies. Michael graduated from Oxford University with a MA and went on to gain a doctorate in philosophy. He was appointed Headmaster of Westville House in 1987 and oversaw the move from the school’s original site in Westville Road to the current location. He continues to offer a wealth of experience and advice in the running of the school. Alison has three children at Westville. She read law at Cambridge University and went on to train and qualify as a solicitor in the corporate department of Linklaters. She has practiced exclusively as a family lawyer from 2006 and is a qualified family law mediator alongside her practice as a solicitor. Alison brings a wealth of professional expertise to the board. Mark has two children at Westville. He was educated at the Royal Military Academy Sandhurst, has a Masters and MBA, and served as an officer in the Yorkshire Regiment for 23 years. He was awarded the MBE in 2003. He has worked across the globe but retired from the Service in 2018. He now runs a consultancy and brings strategy development and project management skills to the board.